When I saw this word “collaboration” again today I thought I’d look it up in the dictionary. What I found surprised me. 1. To work together, especially in a joint intellectual effort. 2. To cooperate treasonably, as with an enemy occupying one’s country. We’re all familiar with the first, but did you know the second? Both definitions represent Saturn in Libra and they are each worth watching for as they impact your business. Libra is an air sign and air signs are concerned with “joint intellectual effort”, as in the first definition above. Libra is the seventh sign of the zodiac and addresses our growing awareness of the need to interact and cooperate with others in order to further our personal development and business success. Marriage and other unions are the province of Libra, as well as business alliances and partnerships. 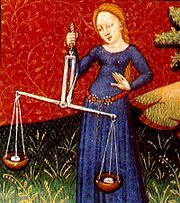 Diplomacy, skill in negotiating alliances, is a key trait of Libra. When Saturn is in Libra, there are two distinct ways this desire for interrelationship can be expressed. The first is like the first definition above: a serious committed undertaking with another or a team. Saturn is exalted in Libra, which means that its usual tendency to constrict receives a breath of fresh air and can bring seriousness and maturity without an authoritarian stamp. Saturn brings wisdom to the table in a way that supports combined efforts, and removes lack of commitment and Libra’s tendency to vacillate. You may well see this is your business relationships. Are you noticing a new seriousness in your alliances and partnerships, and a sense of realism about the direction your business needs to take to insure success? With my clients I have seen a renewed interest in budgeting and a seriousness about getting legal and contract issues in writing and signed by all parties. It’s been interesting to see people with an independent attitude suddenly become much more sober about working things out with the people around them. And some of this has been hard work! I have witnessed wrenching discussions, coming to agreements, and yes, collaboration, haven’t you? The second definition above is startling though. We’re used to thinking of collaboration as a mutually beneficial relationship to some benign end. But to cooperate treasonably with the enemy? Unfortunately this is also a manifestation of Saturn in Libra. When Saturn is in Libra situations come into our life with difficult lessons about loyalty and cooperation. Saturn can play the employee who betrays you. Saturn can be the competitor who undercuts you. Saturn can be that notice from the government that the auditor is coming. Saturn can be the partner who is demanding accountability from you or the virus that infects your network. These are the negative faces of Saturn in Libra: Saturn the taskmaster spurring your progress through challenging situations with others. So be on the lookout for both kinds of collaboration. The first is the antidote for the second. If you’re running into the negative face of Saturn in Libra, collect a loyal team around you and accept their guidance. That’s how to maintain the balance that is the goal of Libra. This entry was posted on Tuesday, December 15th, 2009 and is filed under Saturn in Libra, Signs of our Times. You can follow any responses to this entry through RSS 2.0. You can leave a response, or trackback from your own site. Your a Libra, no doubt about it. Maybe you other things in your chart that ccdtraniot your libra nature. Now you are a cusp, so you will inherently have certain qualities from both. While I DO believe in astrology(personality wise), I will tell you to try not to look at astrology is Fixed. You are this or that and that is the way it has to be. My best friend is a Capricorn and he doesn’t act anything like a Cap and there is nothing in his chart to ccdtraniot his sun sign. So, instead of seeing personality astrology as one-way , try to see it as a guide rather than that it has to be this way or that way . More often than not if you see a libra, then they will act like one and that is the way it is MOST OF THE TIME, not always. Your a Libra and part Virgo, be proud! You’re two people in one(cusp). As you would guess, I’m in the middle here. Like Blair, I think he has good intnntioes, and being ‘nice’, people will give him the benefit of the doubt, and he’ll believe his own publicity and think he is right above all others … But I live in hope that this time it will be different. I really do. Thanks for the strategies you have shared here. Also, I believe there are some factors that really keep your car insurance premium all the way down. One is, to bear in mind buying automobiles that are inside good set of car insurance businesses. Cars that are expensive are definitely more at risk of being snatched. Aside from that insurance is also in line with the value of your car or truck, so the higher in price it is, then higher your premium you have to pay.